DIMENSIONS: H - 12'8" , W - 13'4" , L - 14'4"
Any Saturday pick up is weekend rate (36hr) and is due back on Monday morning. Friday after 3 - Monday 8am is a 2 day rate. All other days are 24 hr rental for day rate. 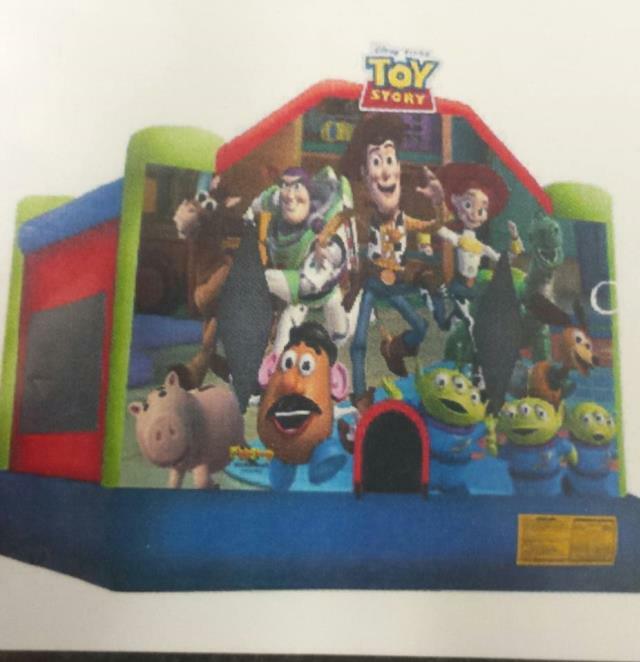 * Please call us for any questions on our inflatable toy story 3 castle rentals in Wautoma WI, Waushara County, Wildrose, Lohrville, Coloma, Planfield, Montello and surrounding areas.